The Hyundai Accent is a popular subcompact car that boasts fun features, an agile driving feel and terrific safety, all at an affordable price. This model year not much is changing on the car, except the Accent's trim levels are getting new, more streamlined names. To learn more about this year's model of the Accent, keep reading our 2016 Hyundai Accent review. 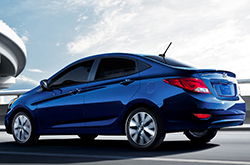 For 2016, Hyundai has renamed the Accent's three trim levels to be more consistent. They include: SE Sedan, SE Hatchback and Sport Hatchback. Looking first at the SE Sedan, this model of the Accent gets 14-inch steel wheels, cloth seating and metal paint interior accents. 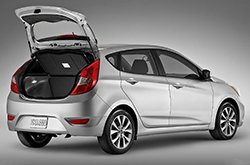 The SE Hatchback model adds a driver's blind-spot mirror, heated side mirrors and a rear wiper. Shoppers can add two great packages to the SE Sedan - Popular and Style - that add features such as cruise control, steering-wheel-mounted audio controls, premium cloth seats and rear disc brakes. The top-of-the-line Sport Hatchback - a favorite option of our 2016 Hyundai Accent review - comes with 16-inch alloy wheels, a body color rear spoiler, projector headlights with LED accents, front foglights, side mirror-imbedded turn signals, Piano Black interior accents, a tilt-and-telescoping steering wheel, a leather-wrapped steering wheel and Bluetooth connectivity. Under the hood, the 2016 Hyundai Accent in Carrollton is powered by a 1.6-liter direct-injection four-cylinder engine that produces 137 horsepower and 123 lb.-ft. of torque. Drivers can choose between a six-speed manual or a six-speed automatic on the car; we recommend choosing the automatic for optimal fuel economy. Safety features on the Accent include six airbags, electronic stability and traction control, a tire pressure monitoring system, keyless entry and anti-lock brakes. SE drivers can choose the optional driver's blind-spot mirror on their model, which comes standard on the hatchback models. 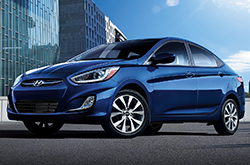 The 2016 Hyundai Accent is now in Carrollton. Stop by Van Hyundai today and take this fantastic subcompact car for a test drive! In a variety key areas, the 2016 Accent beats out contending vehicles like the 2016 Nissan Versa, Chevrolet Sonic, Ford Fiesta, Toyota Yaris and the Mazda2. TX shoppers will be pleased with the Accent's handy features and bargain price. For Carrollton Hyundai customers who want a fantastic value, just compare this vehicle's price to the vehicles in its segment and you'll see that it's a rock-solid investment. The bullet list below this paragraph will give you even more information! For reviews of the 2016 Hyundai Accent and preceding models, Van Hyundai is your trusted resource. Our reviews are recorded by skilled automotive critics. It is a resource we like to provide as one of Carrollton's well-known Hyundai dealerships. As you read this article, you'll see that it is up to the hilt with up-to-date information about all the things you're looking for in the new Accent - safety features and other specs included. Is the Accent not the right choice for you? Discover more about other vehicles on sale at Van Hyundai using our reviews index. 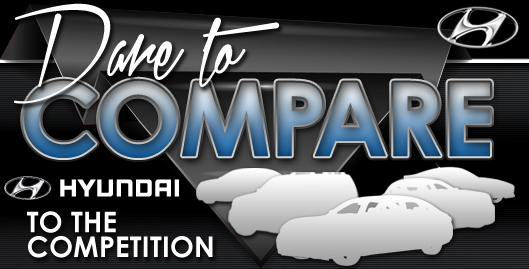 With it you can review and compare Hyundai's entire selection of vehicles.